Vegas Casino Online is the sister of Slots Plus Casino and offers worldwide players a Las Vegas themed gaming experience with amazing slots and other games by one of the largest software providers in the market, RealTime Gaming. 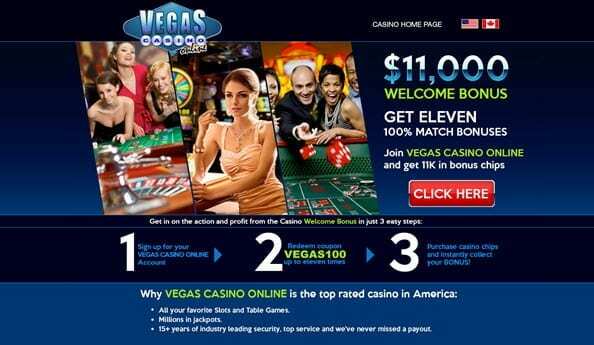 Born in 1999 and currently holding the license in Costa Rica, VegasCasino Online is one of the few who gladly welcomes players from the USA. When joining you’ll see that Vegas Casino Online promotions are various for new and loyal players, making it one of the best choices for promo seekers in the casino industry. 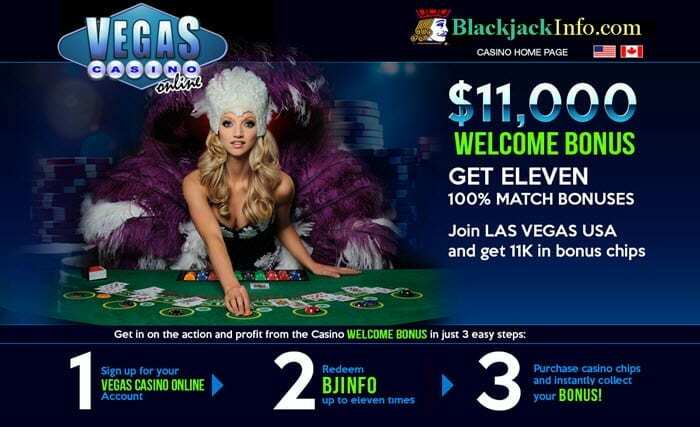 New players earn a sign-up bonus $20 Free Chip No Deposit and get an enhance bankroll on the first deposit up to $11,000 Bonus (Use Coupon: VEGAS100) over eleven consecutive deposits. By providing documents and receiving approval withdrawals will be quicker and a free no deposit chip will be placed directly into your account. By becoming part of the Loyalty Program the list of benefits gets rather interesting. Whenever you place a wager you earn and build up comp points convertible into cash and played in the casino at once. Every month 5 Loyalty players are rewarded with a free no deposit chip and more rewards are given out to 10 random players. 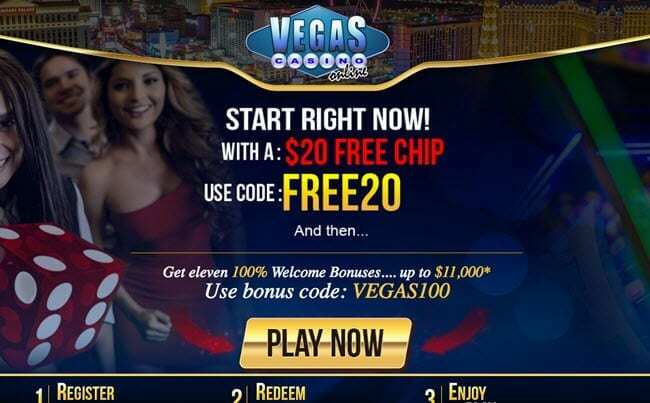 Entering the bonus codes, Vegas Casino Online will get you free bonuses and by referring a friend win a cash reward when their first deposit is made. The casino game list features over 90 great titles to satisfy all the gambler’s needs. You may play in fun mode for free, or for real cash, in instant play or download version. Real Series and Classic slots are available but all RTG Slots (Real Time Gaming) usually is the player’s favorite with dozens of titles like Mid Life Crisis and Cleopatra’s Gold and many more jackpots ranging from Random Jackpots to Progressive Jackpots and Minor Jackpots. You’ll find a good selection of Table Games with five different types of Blackjack, three types of Caribbean Poker, two Roulette, Craps, Baccarat, Pai Gow Poker, Caribbean Hold’em and much more. For Video Poker lovers a massive collection with single and multi-hand choice and 1, 3, 10, 50 and 100 hands per game. Also many bonuses, wildcards and mystery features in games like Deuces Wild and Joker Poker. Specialty games include Keno, Bonus Bingo and Roaring Twenties Bingo. The Vegas Casino Online secures all player’s info and sensitive data with 128-bit SSL encryption technology and is an RTG casino, all games are continuously audited by testing company TST. Support can be reached 24/7 in no time through its live chat, via e-mail or a toll-free phone number for US & Canadian players.